Universities enliven education through the power of play. The rise of the smartphone has brought gaming into the daily lives of people who don’t self-identify as gamers. Colleges and universities, too, are increasingly tapping into the fascinating — even obsession-inducing — nature of games to make learning more effective, and more fun. Pennsylvania State University’s Education Gaming Commons (EGC) takes a broad approach to the study of games, says project manager Chris Stubbs. 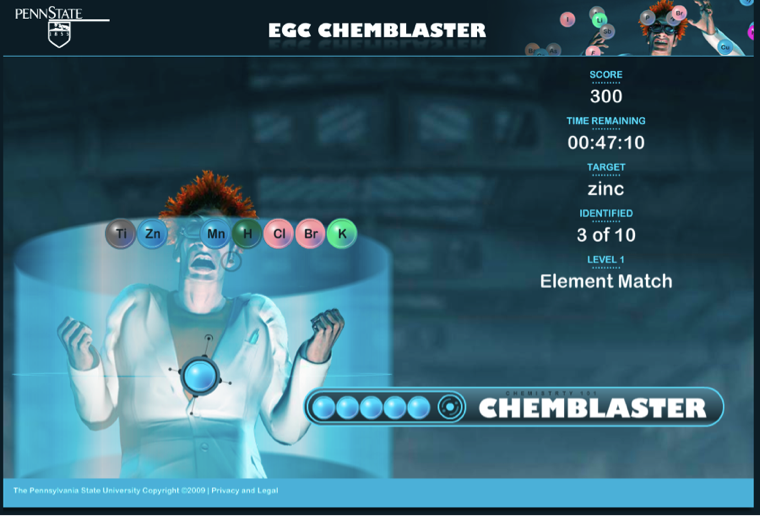 “We build educational games from scratch around specific learning objectives; we’ll help faculty use commercial games; we do research around games,” Stubbs says. Most recently, the EGC has joined the phenomenon of gamification by adding game-like elements to the classroom experience. Belonging to no single department, Penn State’s EGC reaches out to anyone on campus with an interest in education games and gamification. Faculty members frequently approach Stubbs when they begin teaching online or their class sizes expand dramatically. “They’re looking for different ways to engage with their students, and that’s something that games or gamification can really help with,” he says. Institutions take a variety of approaches when it comes to games. The Virtual Xperience Lab at Indiana University conducts in-depth analysis of how people learn from games and then uses that research in educational-game-design courses, says Bob Appelman, VX Lab founder. At Boston’s Emerson College, the Engagement Game Lab focuses on crafting complete game experiences that lower barriers to civic involvement, lab director Eric Gordon says. The Games Research Lab at Teachers College, Columbia University, is seeking to apply the benefits of game-based learning at the primary- and secondary-school levels, professor John Black says. 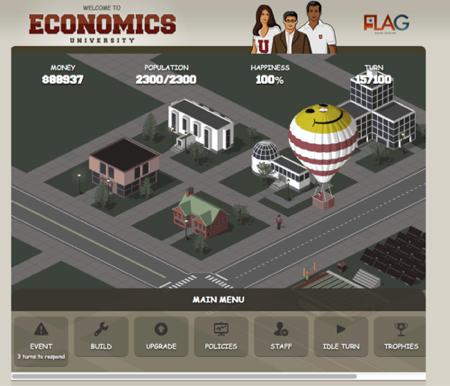 The number of times EconU, a game designed for a Penn State microeconomics course, has been played in a semester and a half. When Appelman established Indiana’s VX Lab in 1998, gaming was an unexplored research area, making it a hard sell to administrators. Initially, the lab was funded through a portion of the technology fees students were already paying. He framed the first studies in terms of usability testing, which was already being done for other types of software. In time, his research gained credibility, and his funding options, as well as the scope of the lab’s research, expanded. Funding gaming labs is an easier proposition today, and Penn State’s Stubbs estimates that an institution could establish a basic lab with the necessary computers, consoles, televisions and software for less than $20,000. None of the programs were set up to make money. Penn State freely shares its code with other universities, Stubbs says. Emerson’s ultimate goal is to open source its civic engagement software, and Columbia is using its software in the Harlem school system. Will students be playing their way to free PhDs in the near future? That’s unlikely, but games and gamification are changing the way professors teach. According to Appleman, using game mechanics in regular teaching environments marks a critical shift from the lecture–exercise–test model to a game-inspired model, in which students learn by engaging with a problem and failing many times en route to a solution. Mobile-based gaming also opens up a future that makes games a part of daily existence.